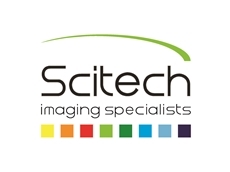 Nanovea 3D non-contact profilometers available from Scitech have been successfully installed within the Class 1 Cleanroom of a leading microelectronics manufacturer. Class 1 Cleanroom clearance is known for its strict compliance and custom demand for all materials used in the development of the instrument. Class 1 Cleanrooms have a tightly controlled level of contamination and allow for very few particles of any kind. The advanced 3D non-contact profiling abilities of Nanovea’s optical profiler will now be an option for strict microelectronic cleanroom requirements. Using ‘clean’ motorised linear stages and through proper selection of materials, Nanovea’s engineers have custom designed a system that would be compatible with the strict Class 1 standards. The material selection was crucial in the design of the X-Y stages to allow only few particles to be emitted into the air during testing. The system was also designed with a high degree of flatness, accuracy and a level of automation that allows the user to measure multiple areas and stitch them together. The design would enable the user to create one large, planar surface in order to compare relative flatness with very little user interaction. The measureable area of the custom profiler can be as large as 30cm x 30cm with vertical resolution down to 2nm. Nanovea also offers a profiler design to scan large, heavy and even immoveable parts. Nanovea engineers have also customised a high-speed profiler with speeds over 30,000 points/second and machine vision with image recognition to improve efficiency. 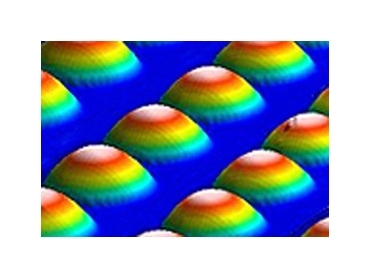 Additionally, profilers have been built with custom scanning capabilities to acquire surface measurements from both the top and bottom surfaces while measuring the thickness of the material, all with nanometer resolution. Craig Leising, Product Manager Nanovea, Inc. explains that the addition of the cleanroom design will allow Nanovea to work closer with strict environments. Easily measures any material including transparent, opaque, specular, diffusive, polished, rough etc.